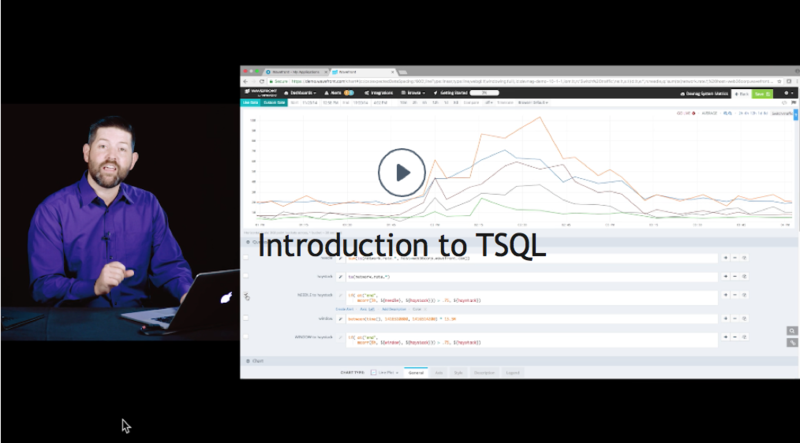 Watch some videos, run a query, apply filters and functions, and more. The Wavefront Query Language has been designed for time series data. Time series data are unique and requires a query language that accommodates the periodicity, potential irregularity, and streaming nature of the data. Notice how the result of sum(ts(cpu.idle)) is slowly increasing over time, but does not show how fast the sum is increasing. The query language has a deriv() function that shows the rate of change per second: deriv(sum(ts(cpu.idle)). What’s next depends on the type of data you’re interested in, and how you want to interact with your data. Most Wavefront users query for metrics, but we support interacting with other data. Query Wavefront events with events() queries. A separate set of interfaces is available for developers who are interested in traces and spans. Wavefront documentation includes videos, tutorials, reference, and guides on the query language. 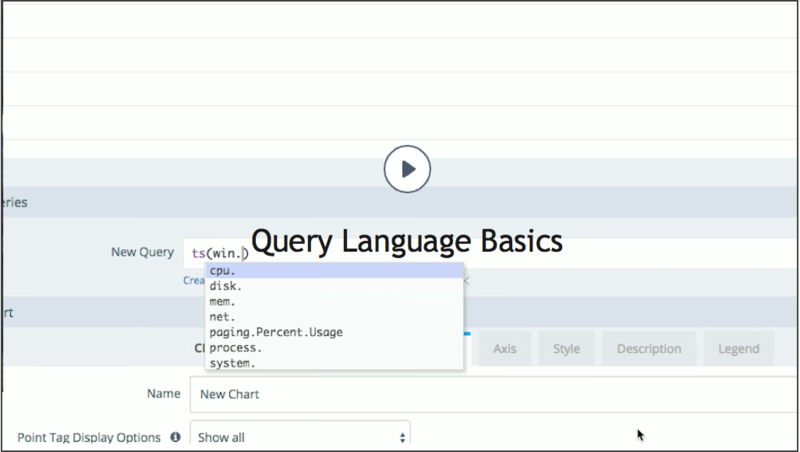 Query Language Videos get you started and Use Case Videos show off some compelling examples. Query builder can help you come up to speed quickly while using the product. Log in to Wavefront and learn with our Tutorial and Tour. The Tutorial includes an Interactive Query Language Explorer that shows examples for each function. Wavefront Query Language Quick Reference. gives an overview of the different types of functions that can be used in a query. Each function names is a link to a reference page for the function. For in-depth discussions and examples, we have a reference page for each function and some Query Language Recipes. How can I use Wavefront for anomaly detection? You can use AI Genie or detect anomalies with functions and statistical functions. How can I improve query performance? Consider bucketing with align(). Investigate slow queries.